I'd been working on a project for a while that centered around Boston PD's activity that used a data set pulled from their the City of Boston's public records. A whole project description can be found [here]. However, there were a lot of work in progress that couldn't make it onto the page, and I've decided to collect them here. 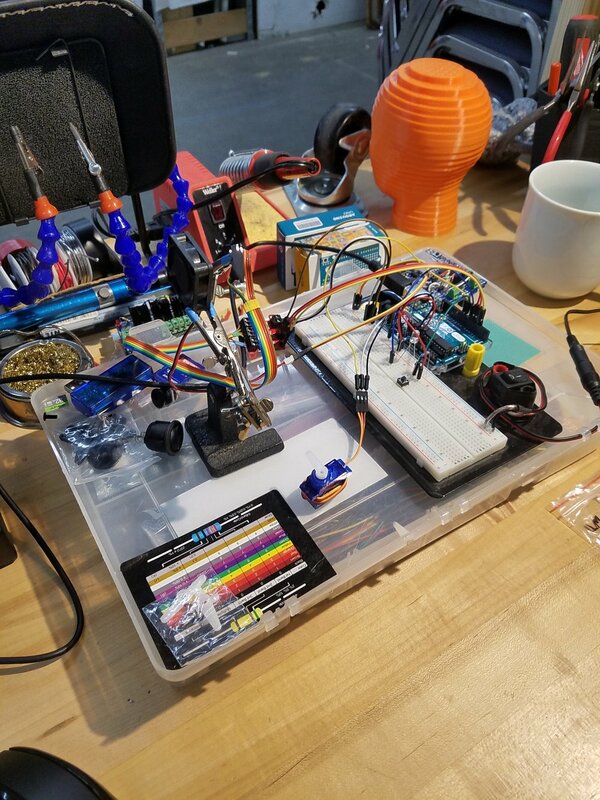 After getting all the electronics, I had to breadboard the system and program the arduino. I laid out all the electronics on what would be the base plate to make sure they could all fit together snugly. 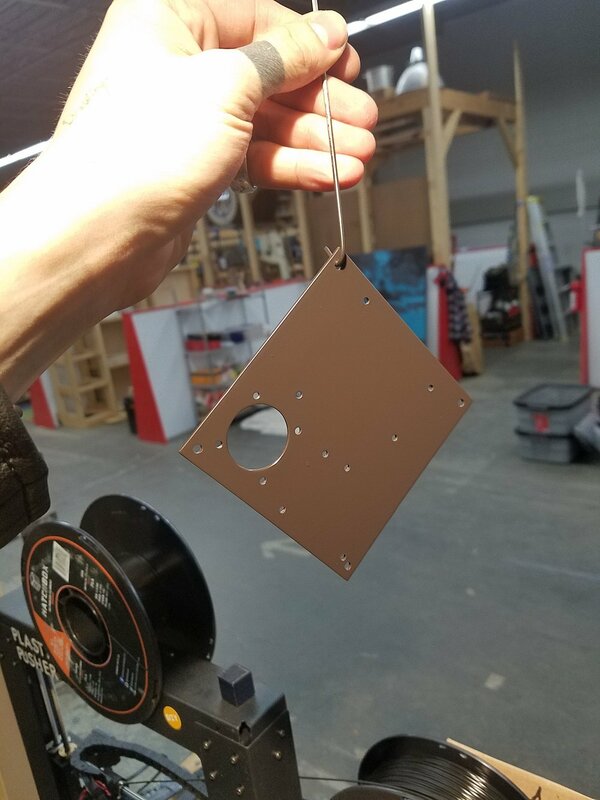 After cutting the initial shape of the base plate, I drilled holes and tapped them to eventually fasten components onto. After getting everything drilled, I did a sanity-check dry fit before going onto finishing. I'd asked a Ted at A2 to help me make the hole for the fan. At this point the plate was ready for paint. Black enamel. All ready for components. 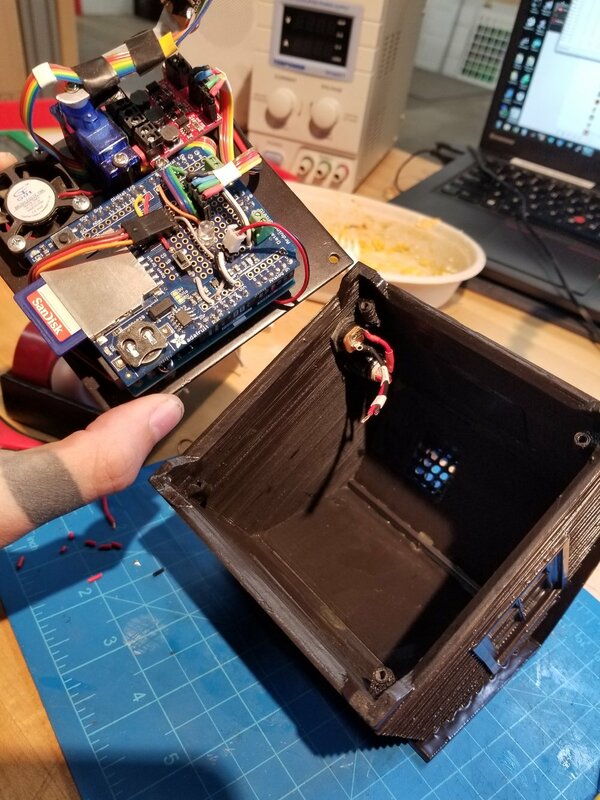 Even though it was relatively little wiring that needed to get done, it was finicky to get it all so that it would sit well in the enclosure, especially with moving parts nearby. The electronics went onto the plate smoothly and everything stayed where it needed to be. Nice! Next up was the enclosure, which needed to be put together in CAD. Using the files I'd made earlier I was able to get a sense of what the size should be. The rough shape came together repetitively easily. The whole assembly in 7 parts, plus the acrylic that would be used as the windows. After fixing my printer (Duplicator i3) and printing the parts, I glued them together and started finishing them off with Smooth-On's XTC-3D. After a couple of coats and some sanding it was looking pretty good. A rough test to see if the enclosure really did fit the electronics and plate. Thankfully it did. I added in the barrel plug receptacle and external power button.